Light breeze, sun rays caressing the skin, soothing sound of waves - is there a better way to spend a day away from the hustle and bustle of everyday life than on a beach? But don’t just dream about your favourite summer S’s - stripping down to your favourite summer outfits, sunbathing and swimming, water sports, strolling along the shore, sipping cocktails or beer in the shade of a beach bar playing your favourite song to tune you in to that summer feel. You’re just a few letters away from making it happen - a trip to Z(adar) is all it takes. 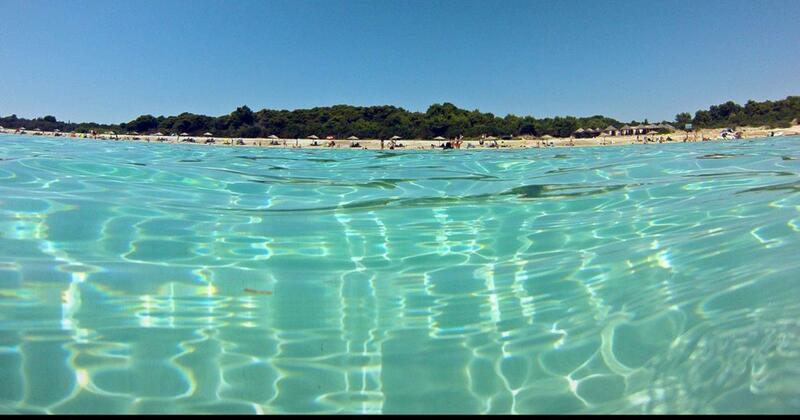 Inviting for all generations, the Saharun beach is well worth the boat ride to northwestern side of the Dugi Otok island. An hour or so of a ferry or catamaran ride is all it takes to reach Dugi Otok. Once there (in Brbinj or Božava), why not rent a bike and explore the island. For example, the famous Veli rat lighthouse is quite near Saharun. If not, a tourist train or a bus will take you to paradise on Earth. Situated in one of the prettiest coves, Saharun beach is renowned for its crystal blue water and white sand. With its 800m length and cool shade of the pine trees, it’s the perfect place to relax during the day. As the night falls, you get to see its other side - party! Not far from Zadar and near the historic town of Nin you’ll find Nin’s Lagoon, which includes several kilometres of sandy beaches and secluded coves. And it has it all! With its shallow warm water, it’s perfect for trying out a traditional ball game, picigin. Those looking for some action can enjoy beach volleyball, badminton, kitesurfing and other activities. If you don’t mind getting dirty and would like to snap a very original selfie or group photo, wallow in the healing mud near the famous Queen’s beach, which has been listed as one of the most beautiful beaches in the world. So, hop on your rented bike and in an hour you’ll be sunbathing on a beach that will take your breath away. With its amazing scenery which includes low sandy dunes and Velebit mountain in the background, Nin’s Lagoon truly is unique. 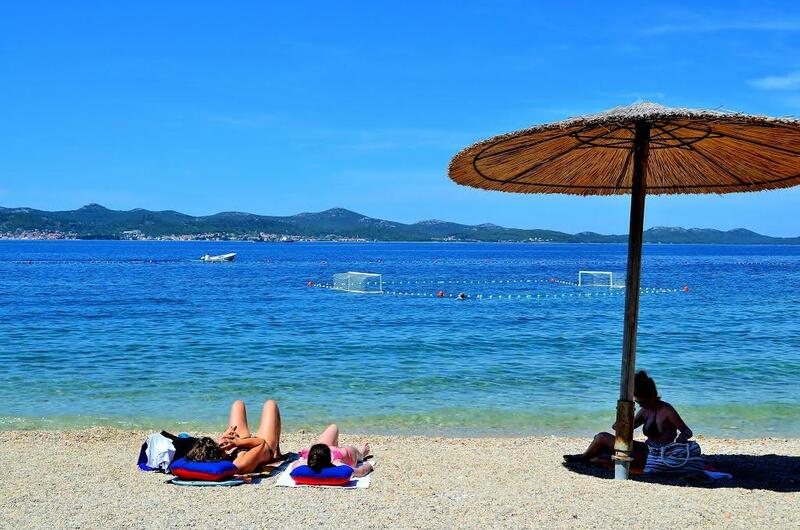 Known as one of the best beaches in Croatia, Zaton beach was awarded the blue flag status which testifies to its water quality, safety, environmental management and quality service. This sandy and pebbly beach with its pine trees providing cool shade in the hot summer months caters to many different needs and is the epitome of an excellent Adriatic beach surrounded by Mediterranean greenery. Whether you decide to do your favourite water sports, read a book in a hammock in the thick shade or have a fantastic time in the amazing swimming pool complex, Zaton beach is the perfect place for a carefree day and only a few kilometres away from Zadar. If you’re a party animal, you have probably heard of the Zrće beach in Novalja, on the Pag island. Better yet, you must have been there already. It’s the party spot in Croatia and the party lasts all summer long. Apart from its blue flag status and various amenities, truth be told, this pebbly beach is most renowned for its parties. So, go bungee jumping, diving, wake-boarding or jet-skiing and party till you drop in Croatia’s party hub, only a less than 2-hour bus ride away from Zadar. Once you arrive to your destination, it might be a hassle to travel outside the city to spend a day at the beach. And Zadar is one of those cities where you won’t necessarily have to. Kolovare beach is the most favourite spot for Zadrans who want to refresh themselves without having to leave the city centre. A few minutes walk southwards is all it takes to reach it from the historical core to enjoy the refreshing shade of lush Mediterranean vegetation. While there, why not play a game of beach volleyball and water polo, rent a kayak or a slider paddle boat for a view of Zadar from the sea? During peak season, this pebbly beach mighty be a bit crowded, but it gives you the perfect opportunity to mingle with the locals and be a part of the Zadar summer buzz. Beaches swarming with people may be full of life, but leave your valuables and travel documents in your room. Zadar truly is NOT a dangerous place, but it’s better to be safe than sorry. Wherever you go, don’t forget sunscreen. Tan may be cool, but sunburn is not. Not in a million years, and it hurts. So, if you plan to head to a distant beach with the aim to spend the entire day, make sure you take every precaution in case there’s no shade. Finally, regardless of the beach you’re at, simply relax and let the vitamin D kick in. Look around and you’ll see what a beach is all about: happiness and fun. Enjoy it! Let the Kolovare beach be a stop on your extended walking tour or explore the islands for more than just the lovely beaches and pick your favourite!